Capture the culture so students experience the Spanish speaking world. ¡Así se dice! 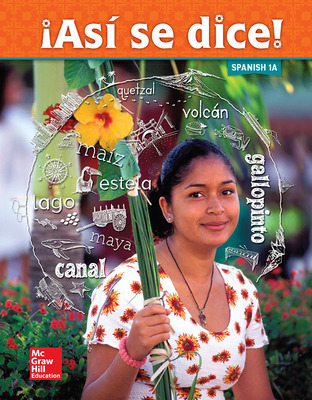 helps you teach Spanish your way with manageable content and easy-to-use technology. Cultural and interactive experiences create learning opportunities and transport students to the exciting diverse world of Spanish culture. Photo essays with GeoVistas, literature, projects, and cultural lessons from different parts of the world provide a more global perspective. Practice Spanish with peers and students in countries around the world with ePals. Expand student proficiency. See, say, hear, and practice pronunciation, spelling and translation with the vocabulary app. Digestible grammar and vocabulary sections, with additional practice so students understand Spanish for success in the classroom and the real world.